^ Brown (1989), p.230; Cantor, p.105. ^ Brindle and Kerr, p.34. ^ 16.0 16.1 16.2 Williams, Neville. Royal Homes. Lutterworth Press. 1971. ISBN 0-7188-0803-7. ^ 18.0 18.1 Thurley, p.214. ^ Hill, B J W. Windsor Castle. Pitkin Pictorials Ltd. 1972. ^ Tite, p.24; Robinson, p.57. ^ 24.0 24.1 24.2 Robinson, p.85. ^ Brindle and Kerr, p.56. ^ Robinson, pp.136–7; Rowse, p.247. ^ 34.0 34.1 34.2 Mackworth-Young, p.85. ^ 35.0 35.1 Shawcross, p.527. ^ Robinson, p.143; Nicolson, p.30. ^ Financial comparison based on average earnings; using the Measuring Worth 互联网档案馆的存檔，存档日期2011-09-01. website. Retrieved 15 November 2010. ^ 1994: Royal approval for oil drilling at Windsor. BBC. [2007-07-22]. 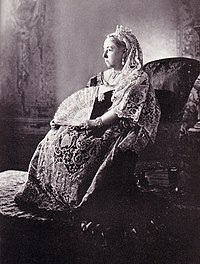 ^ Queen grants Muslim prayer room. BBC News Online. 2006-09-30. ^ Upper Ward complete decorated medieval floor tile. Big Royal Dig - Time Team. Channel 4. 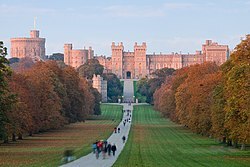 ^ Latest from Windsor Castle. Big Royal Dig - Time Team. Channel 4. ^ Ghostly Tales from Windsor Castle. BBC Berkshire Website. [2008-09-30] （英语）. Clarke, John and Ridley, Jasper Godwin. (2000) The Houses of Hanover and Saxe-Coburg-Gotha. Berkeley, U.S.: University of California Press. ISBN 978-0-520-22801-6. Ireland, Ken. (2006) Cythera Regained? : the Rococo Revival in European Literature and the Arts, 1830–1910. Cranbury, U.S.: Fairleigh Dickinson Press. ISBN 978-0-8386-4078-4. Shawcross, William. (2009) Queen Elizabeth: the Queen Mother : the official biography. [失效連結] London: Macmillan. ISBN 978-1-4050-4859-0.